Thiruvotriyur MSM theatre gets new look and named Lemuria cinema. People of thiruvottriyur has one more reason to be happy than the on going metro rail progress. Their only weekend getaway MSM gets all new high look and amenities. The 5 decade old theatre had been renovated with state of the art surround sound system and 2K digital projection. With centralised Air conditioning facility to give all the experience they could enjoy in city’s topclass multiplex. From Restrooms to canteen all uplifted to quality that would attract family audience of all class. The household name of thiruvottriyur people MSM theatre gets new and bold name Lemuria cinemas. 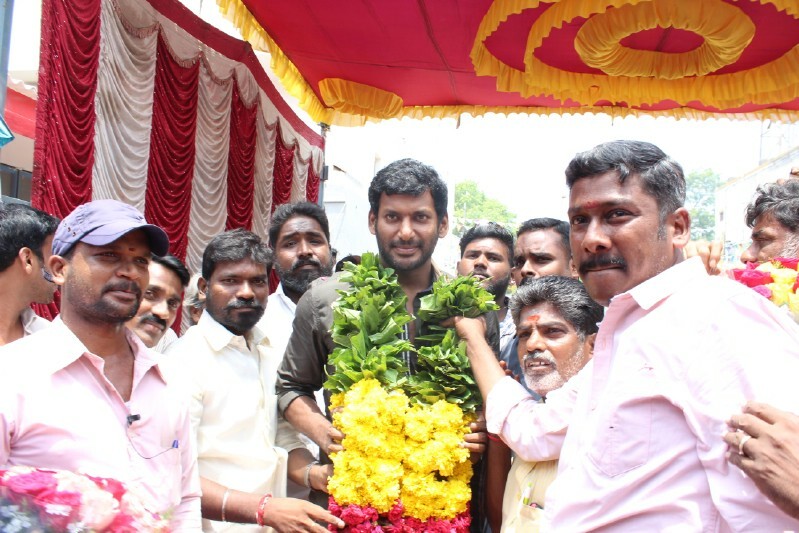 favourite star of the locality and producer council president Vishal inaugurated the Lemuria Cinemas last evening.